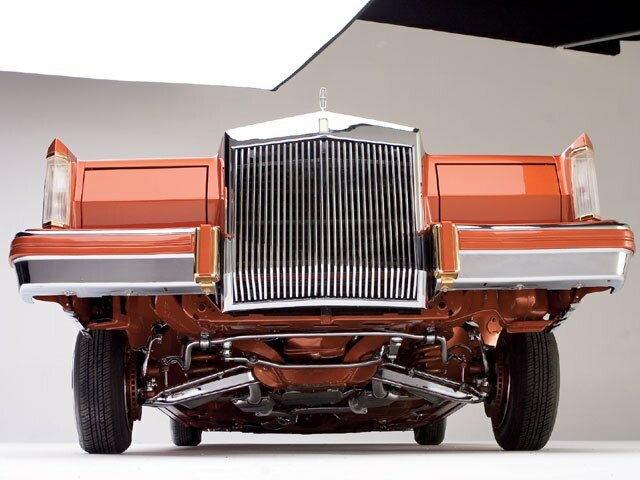 The Third Generation Of The De Alba Dynasty Gets Off The Ground With This Lifted Lincoln. 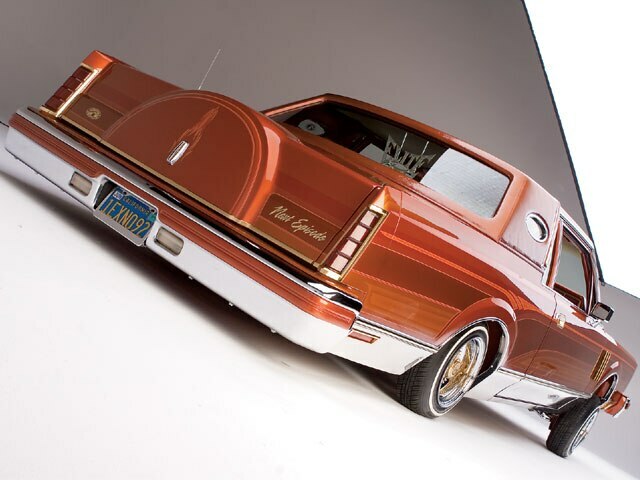 The “Next Episode” is not just the name of this ’82 Lincoln Continental lowrider but also a way for 16-year-old Albert De Alba Jr. to show his lowrider pride by being a third generation lowriding enthusiast. 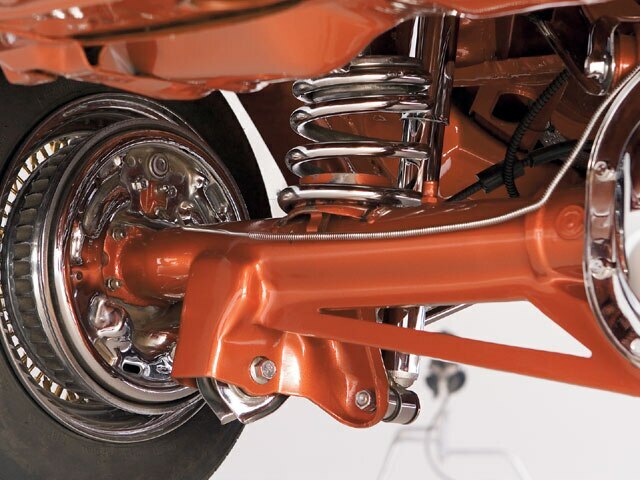 Albert started his lowrider life like most young men who get into the scene by building a custom lowrider bike that he would display at countless lowrider events and shows. Young Albert’s car building days began when David Arquette liked his Flaunt Magazine-published bike so much that he purchased it from Albert, who quickly flipped the money and bought a clean ’82 Lincoln Continental. The car was taken to Mario’s Auto Works in Montclair, California, where Albert did a lot of the work on the car after he got out of school and on the weekends. Albert spent countless hours and sleepless nights reworking his Lincoln, and it shows that he put his heart and soul into his car. 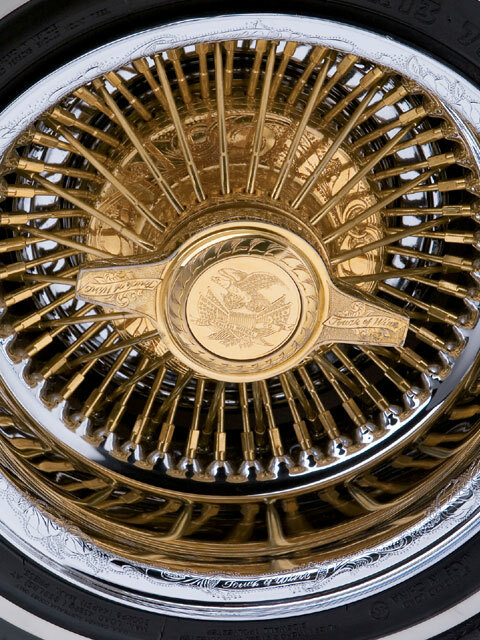 The Lincoln was built in just six months before making its debut at the 2005 Lowrider Super Show. The car has since been improved with custom-molded interior pieces, crazy molded hydraulics setup and fully detailed undercarriage. Albert would like to thank his family and friends, as well as Flowmaster Exhaust and “Mr. Ray” from Zenith Wire Wheels, for guiding him in building his award-winning Lincoln (First Place in the Semi-Custom class at this year’s San Bernardino, California, Lowrider Tour event). The Next Episode for the De Alba dynasty is off to a strong start. Next EpisodeOwner: Albert De Alba Jr.
Body/Paint: Albert Sr./Jr. worked on the body to get it straight and ready for paint. The car was covered with candy tangerine and then it was laid out with some pearl and lace patterns. The entire car was built at Mario’s Auto Works in Montclair, California. The car was then pinstriped by Jeff Robertson, Mike Tippets and Mike Lamberson. 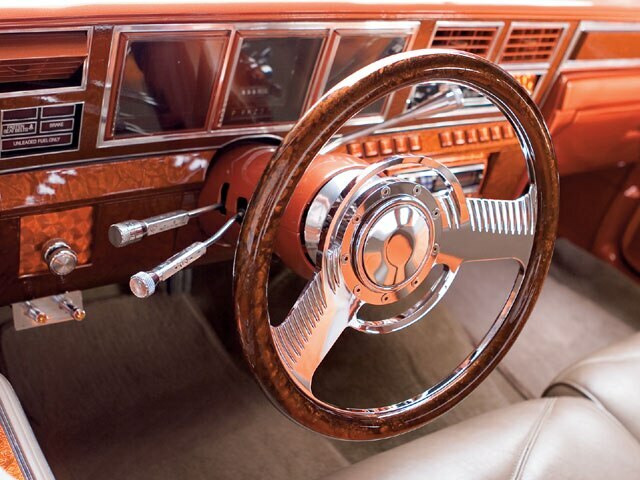 Interior: The interior was redone by Willy’s Upholstery in Pomona with two-tone suede and leather seats. 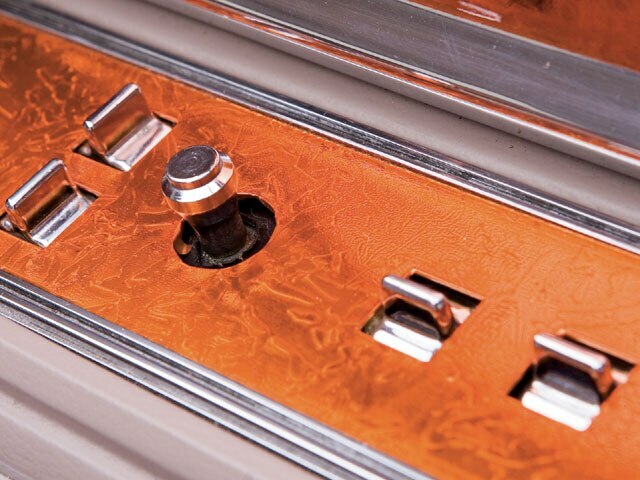 The car also has a fully molded dash with custom package tray and molded quarter panels and kick panels. Sound System: The sound system was also installed by Albert Sr./Jr. and was accessorized with an Alpine head unit, Performance Teknique amps and woofers, and Pioneer mids and highs. Setup: The trunk setup was built after the Super Show with custom molded, fully painted and patterned trunk panels. The setup includes floating Roadster pumps, Adex dumps and custom-bent hard-lines, with power provided by seven custom-painted batteries and six switches for control. The car also has 6-inch cylinders up front and 10-inch in the rear. The frame was fully reinforced and custom painted to match the car, and it also has extended and molded upper A-arms and reinforced lower A-arms. Lowriding is about longevity. It’s what our lifestyle is based upon.